As early as 1882, The Salvation Army was involved in finding women emigrants for Australia. In 1891, passages for 95 emigrants were arranged, with employment also having been organised in advance for many of them. In 1894, the Army set up an Emigration Board, presided over by the General's son, Bramwell Booth. Links with the Darkest England Scheme. William Booth had a vision of rehabilitating what he termed the 'submerged tenth' of the population, outlined in his book 'In Darkest England and the Way Out'. Booth adopted the explorer Henry Stanley's analogy of Darkest Africa in European and American imaginations which he used as a parable to describe his perception of, and prescription for, the miseries which permeated the 'jungles of Darkest England'. That the Army's entire social scheme emanated from 'In Darkest England' is untrue; much of its social work began well before the book was published. Booth felt that a more comprehensive scheme was needed to rescue people in 'darkest England'. The City Colony: William Booth wanted to establish, in city centre slums which he called the “Ocean of Misery”, a number of institutions: his “Harbours of Refuge for all those who have been shipwrecked in life”. Booth’s Army would take the destitute, feed and clothe them and provide temporary employment. They would then start on a programme of “regeneration of moral and religious persuasion”. Some would find permanent employment or return to their families from this first stage, but those remaining would graduate on to the second colony. The Farm Colony: Stage two of the colony process. Hadleigh Land and Farm Colony in Essex equipped the ‘colonists’ with the necessary skills of agricultural employment in England. However, for those who wanted to travel further afield and take the emigration route to the British colonies, they were also taught further skills including, farm management, horticulture and cooking. It was an estate of vast proportions. With an initial 800 acres in 1891, it eventually grew to 3,200 acres, plus a further 200 acres of waste land, incorporating three farms and the ruins of Hadleigh Castle. By the end of 1891, cow-houses, sheepfolds, piggeries and stables were under construction, together with a dairy, a mill, and factories for farm produce, offices and stores. There were five dormitories to house the colonists with a dining room for 300, kitchen, pantries, wash-house and laundry – a far cry from the impoverished conditions that so many had been used to. When the training was finished, the boys and men were free to choose whether they returned to their selected trade within Britain, if they were able, or take the assisted route out to one of the colonies. The numbers on each voyage to the colonies varied from a single berth to an entire chartered ship. The Overseas Colony: Booth envisaged that the Army would “continue the process of regeneration, and pour them forth on to the virgin soils that await their coming in other lands, keeping hold of them free men and women; and so laying the foundations, perchance, of another Empire to swell to vast proportions in later times”. It was this element of the vision that, to some extent, collapsed. Regardless of this many thousands did emigrate. 3] The transportation of the people to the colony. The Salvation Army planned colonies in South Africa, Rhodesia (Zimbabwe), Australia and Canada. Tracts of land were identified for the settlements, and staff were made ready, but not employed, to receive the colonists. However this was where they met insurmountable difficulties, largely associated with money. The scheme relied on charitable donations from the British public, which were few and far between. In addition there were political problems with the Australian and South African governments’ displeasure with large numbers of colonists being “offloaded” into their economy. In 1903 the Migration Department was inaugurated (became Reliance World Travel Ltd, 1981; closed 31st. May 2001). A much larger programme of emigration was initiated, with almost 200 embarking in a single week in April 1904. An Emigration Advice Bureau was then set up, its rapid growth soon resulting in its moving into its own building at 27 Queen Victoria Street. In April 1905 three hundred migrants left for Canada. Will Crooks, then M.P. for Woolwich, addressed the emigrants: "You must all be grateful for the way in which plans have been carried out for you to leave the old world, which perhaps has been none too kind to you, and for sending you to the new world. Commissioner Lamb has taken considerable trouble to make every arrangement for your comfort." Also in 1905, the Army chartered its own ship, the S.S. Vancouver, which sailed on 26th April to Canada with a 1,000 emigrants aboard. Many more such sailings followed on vessels that include S.S. Kensington, S.S. Southwark, and S.S. Ionian. The Bureau's continuing growth led, in 1907, to its move to even larger premises at 122 Queen Victoria Street where it was renamed the Emigration Department. In one year alone, 1908, 25,000 migrants left the UK to start a new life in Canada. It is estimated that between 1900 & 1914 200,000 were helped to start a new life in the new world (Coutts, F: (1974:114) 'No Discharge in this War', London, Hodder & Stoughton). The Army addressed the issue of how much money was needed by migrants to allow them to live in reasonable comfort during their journey. Those who were assisted by the Army under the ‘Empire Settlement Act’ were often issued with a free railway ticket to the port of departure, and if they desired, would have been guaranteed work in the country they were emigrating to. In the main this would have been domestic work for the women and girls, and farm or industrial work for the men and boys. “I’ve got a porthole, so I’m in luck, we’ve been out five days now and there’s a bit of a role on, several of our chaps are sick, but yours truly is A1, though not so daring at meal times. We saw an iceberg. We shall see land tomorrow. There are about 150 in our party and this afternoon our Conductor gave us all a new Bible each. An Army present from the General (God bless him). The other passengers looked on while we got them”. ”It’s rough and hard, and, occasionally, a bit dangerous, but it offers a chance to a man to get his foot on a bit of land of his own, to own his house, and be his own master. A man who owns a farm is his own master in every way, and his comfort and happiness depend to a great extent on himself”. Rheba Crawford's 1st cousin, twice removed. Rhebe Crawford was born Irene Rebecca Crawford on February 14th, 1898 in Milwaukee,WI. She was the daughter of Salvation Army Officers and as such, it was not surprising that she dedicated her life to God at an early age. Rhebe went to primary school in Sacramento, CA. and graduated from the North Ave. Presbytarian School in Atlanta, GA. She attended Columbia University and also studied post graduate work under Prof. Wolff, a graduate of Magdalen College, Oxford, England. During WWI Rhebe became a cub reporter in Atlanta, GA. However, she felt God’s call and entered The Salvation Army Training College in New York City, NY. Her first appointment was to St. Petersburg, FL. Rhebe’s next appointment was to National Headquarters in New York City, as a writer and the Editor of "The Young Soldier", a children’s publication of The Salvation Army. Rhebe was then sent in charge of The Salvation Army work in the Theatrical District in New York City. It was said "Producer George M. Cohan, who had heard her preach, asked The Salvation Army to station her nightly at 46th and Broadway". Though still in her early 20's she became known as the young Salvation Army Captain whose street corner sermons had taken the Broadway cynics by storm. Whether it was her winsome appearance or the message she spoke, Rheba soon began to attract large crowds and the news reporters dubbed her "The Angel of Broadway". Because of her beauty she received many movie and stage offers which she turned down for preaching. Zigfield was quoted as saying "I haven’t seen a better looker in any chorus this season". The famous news reporter Walter Winchell once said "she was an inspiring speaker and had the best looking legs this side of the Mississippi". Winchell's good friend, reporter and writer, Damon Rungon wrote a story about her, leading to the creation of one of Broadway’s most successful productions "Guy's and Doll's". It was said "she was an actress in her own right, charismatic, memorizer of oratory with a flair for the dramatic". Nearly every restaurant in the area displayed her photo on the wall along with many famous actors. She became very good friends with the Barriymors, the Shuberts and George M. Cohan. Her Sunday evening Open-Airs held on the steps of The Gaiety Theatre, were said to attract over 1,000 listeners every week. 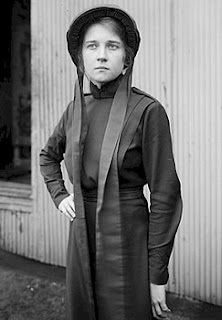 On October 28th 1922 she was arrested for "obstructing traffic", which inspired a riot when the police took her into custody. Rhebe was told she must discontinue her meeting. She replied "I have been holding meetings on this spot for the last two years and I refuse to stop". The officer who took her into custody was followed all the way to the station by a belligerent crowd. The charges against Captain Crawford were afterward changed to "disorderly conduct". Bystanders admitted they could see no reasonable grounds for the charges. The charges were dropped and she was released. She won a decisive moral if not legal victory. Rheba suffered a nervous breakdown afterward and went on furlough. She went to stay with her father, Colonel Andrew Crawford, who was the Divisional Commander of The Salvation Army in San Francisco, CA. In January of 1923, she tendered her resignation from The Salvation Army. It was rumoured that Evangeline Booth was irritated by Rheba's popularity and that she was effectively forced to resign. Rheba said "she did not blame The Army. It is The Salvation Army standing policy to avoid dispute and to frown on personal publicity". Rheba then decided to become an Evangelist and started conducting a series of evangelistic meetings at The First Congregational Church of San Francisco. It was said she was becoming "a feminine Billy Sunday". She then went back to Jacksonville, FL. By the spring of 1924 she was one of the most famous women in America. Her only peer on "The Glory Road" was Aimee Semple McPherson of The Angelus Temple in Los Angeles, CA. Rheba launched a 10 day crusade at Confederate Park Tabernacle which had been built for Billy Sunday. It was said by many different reporters: "She is young, full of life, vigorous in body, mind and heart". She has a striking personality and a brilliant mind. She is a wonderful orator with fire and conviction". "She is a human dynamo of Christian observance". "She is just a person with a wonderful personality and is giving to the world that personality in a wonderful way". In Jacksonville it was said: "Rheba Crawford was here, there and everywhere". She was at the Kiwanis Club with Lt. Commander Ellis Zacharias, the Navy Intelligence Officer who would go on to become the man to induce the Japanese surrender in WWII. She headlined the April Follies midnight show at The Palace Theatre with Mayor John T. Alsop. It was in Jacksonville, April 1924 she met and married J. Harold Sommers. Her husband was a veteran, crippled in The First World War. He had however gone on to become a very prosperous businessman in St Petersburg, FL. In September of 1928 she separated from her husband, who then sued for divorce on the grounds of desertion. She said "she found she was unsuited to home existence and wanted to resume preaching". During the separation she went back to San Francisco to preach. In Feb. of 1930 she surprised everyone with the announcement she was going to wed Raymond Splivalo, a wealthy San Francisco Broker, Clubman and Polo Player. His grandfather had established one of the earliest shipping lines from San Francisco to the Orient. She had been divorced by her first husband on the grounds she paid more attention to her religious work than to her home. Splivalo had just been divorced by his first wife on the grounds he was too absorbed in Polo and other sports. Her father, Colonel Andrew Crawford, did not attend the marriage ceremony because he was in the hospital. He was one of the 130 people poisoned by "bad chicken" while attending a banquet at The Young Peoples’ Conference of The Golden Gate Division of The Salvation Army. Rheba said of Ray, "He was one of the most gracious, charming men I have ever known and his love was one of the real, great gifts God has given me". As Mrs. Splivalo she was actively engaged in welfare work. It was said "She was tremendously well fitted for welfare work. She has kindness and understanding". She once said "I always want to fight for the people who can't fight for themselves and speak for those who are inarticulate". In January of 1931 Rheba Splivalo was appointed by Gov. Jones Rolph Jr. as Director of the California State Dept. of Welfare. Impatient with red tape and bureaucratic delays, Rheba harried The Legislature making friends and enemies. Rheba jumpstarted California's Relief Program and her accomplishments caught Sister Aimee Semple McPhearson's attention. Rheba Crawford had followed Sister Aimee's career with admiration verging on wonder since 1917. During that year the young Salvation Army worker was driving through Florida when she saw Aimee driving stakes for her revival tent. Rheba was impressed with Amiee's determination so she stopped and emptied the money from her purse into Aimee's hands, said “God Bless You” and drove away. Welfare work in Los Angeles and Sister Aimee's similar Salvation Army backgrounds brought the two women together. Aimee needed help with her preaching schedule and the two women formed a working relationship. However, it was said the two Evangelists did not get along. In 1933 Rheba was forced to resign her State Director post because the newspapers reported that a contract existed between her and Sister Aimee, saying Rhebe would receive $600 a month as Associate Preacher at Angelus Temple. While Amiee was on the road in the States, Rheba would occupy the pulpit and manage the radio station. When Aimee came home Rheba would disengage herself from Temple affairs. While Aimee was abroad her daughter Roberta would manage the affairs of the Temple. Roberta Semple and her grandmother Mimmie Kennedy watched Rheba with growing concern. Rheba did a good job filling the Temple and getting money, but she gave fiery sermons from the Temple platform, including making attacks on the government for condoning gambling, prostitution and drug trafficking. After numerous flare ups with Rheba, Aimee asked the board to fire Rheba. Aimee was reported to have said "Evangline Booth had dismissed Rheba from her Salvation Army position because she would not tolerate grandstanding from her subordinates and I am beginning to feel the same way". Rheba was ousted from The Angelus Temple. Aimee's daughter Roberta was also having trouble with her mother and decided to sue her. Rheba also launched a $1,000,000 slander suit, charging that Aimee had called her among other things a "Jezebel". Rheba's marriage to Splivalo ended in 1937 with his death following a trip to Honolulu. The trial for slander was one of the most famous trials in Los Angeles and lasted for several years. Finally the lawyers and the Judge reached an agreement, that because of the fame of the two Evangelist and the nature if their work, both parties would be better off to agree to dismiss. Rheba gave up the pulpit at the Angelus Temple and went on a speaking tour. Ill fortune then began to pursue Rheba and on July 30, 1941 she appeared at the Los Angeles County Bureau of Assistance and declared herself a pauper. The bureau agreed to grant her $19 a month. If this was unsatisfactory she could enter Rancho Los Amigos the county poor farm. Rheba accepted neither alternatives later explaining that she found "unexpected means of support". For the next few years she spent most of her time in various hospitals undergoing a series of operations. Then in 1944 she said "I got back on my feet again, a little like my former self before those terrible years of tragedy and illness". She did war work and preached in San Diego for a time. Then returning to Los Angeles she was made Coordinator for the Los Angeles County Dept. of Senior Citizen Affairs. In 1944, she was summoned by her attorney to his Los Angeles office. He was stumped, a client of his was being held in an El Centro, CA. jail on a false accusation and no one seemed willing to help the unfortunate man. Could she help the accused man the lawyer inquired? The twice married Evangelist, social worker and one time "Angel of Broadway" said she would try. She then went to El Centro and their encountered Arthur Lawrence Lambertz, wealthy Imperial Valley Rancher and Agricultural Contractor. He came to her aide. Together they got the accused man out of jail. Although it could hardly be called glamorous, that first meeting between them led to a romance, then to their marriage in Santa Barbara, CA. It was Rheba's 3rd marriage. Rheba recalled at the time of their first meeting "He was hot, tired, dusty and mad. He was changing a tire in the sweltering heat and flatly told her he had no use for reformers. He said they were terrible people, but she changed his mind". Following her marriage to Lambertz she said "she just wanted to be his wife". At the age of 69, on January 8th, 1966 she died in Los Angeles, CA. of complications following a meningitis attack. Her husband Arthur Lawrence Lambertz died 2 months after Rheba's death, in his sleep. He had suffered from heart problems. The announcement of the death of the "Angel of Broadway" appeared in almost every newspaper in the United States and abroad. The reading of many articles from newspapers all across the United States.